West Africa’s most iconic dance-band are back. A decade on from their last album and almost half a century since their formation, Senegal’s Orchestra Baobab return with a timeless set of classic, swaying tunes fusing Afro-Cuban rhythms and African tradition in the group’s trademark style. BAOBAB TO PLAY AT THE BARBICAN IN 2018! Orchestra Baobab have announced they'll play at The Barbican next year! Catch them there on 27th April 2018 - get your tickets here. More dates to be announced soon, keep checking the website for updates. Orchestra Baobab are back on tour this autumn, scroll up for tickets! Watch their performance of Papa Ndiaye at Jazz in Marciac from earlier this year here. World Circuit are releasing a prime slice of old school Afro-Latin magic from Orchestra Baobab recorded in Dakar, Senegal in 2007. Originally an old Cuban son, Baobab’s version of Guajira Ven was inspired by a recording by Duo Los Ahijados’s, a band from Dominican Republic that featured the brothers Cuco and Martin Valoy. Cuban music was very popular in Senegal in the 60’s and early 70’s and many bands would feature Cuban songs in their repertoire, the lyrics often sung phonetically. You can stream or buy the single here. Tribute To Ndiouga Dieng receives rave reviews! The all times classic album of African music from 1982. 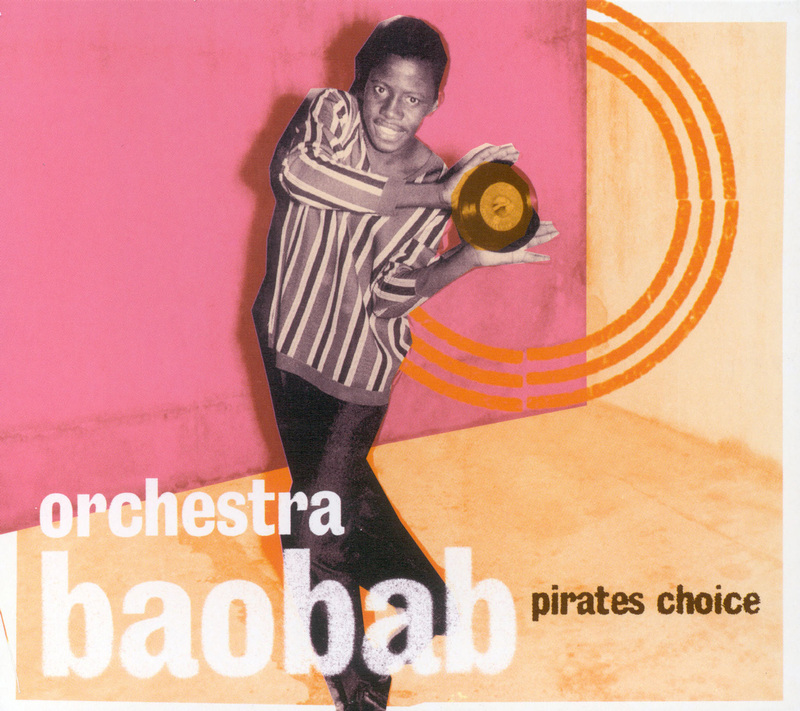 Orchestra Baobab are masters of the African/Afro-Cuban fusion that dominated Senegal's music scene in the Seventies. A fluid mixture of mellifluous guitar and delicious vocals, "Pirate's Choice" was recorded in 1982 shortly before they disbanded, and released worldwide for the time by World Circuit in 1989. Repackaged with an extra CD of previously unreleased material, the re-release of this essential record in 2001 prompted a full-scale reunion of the band. 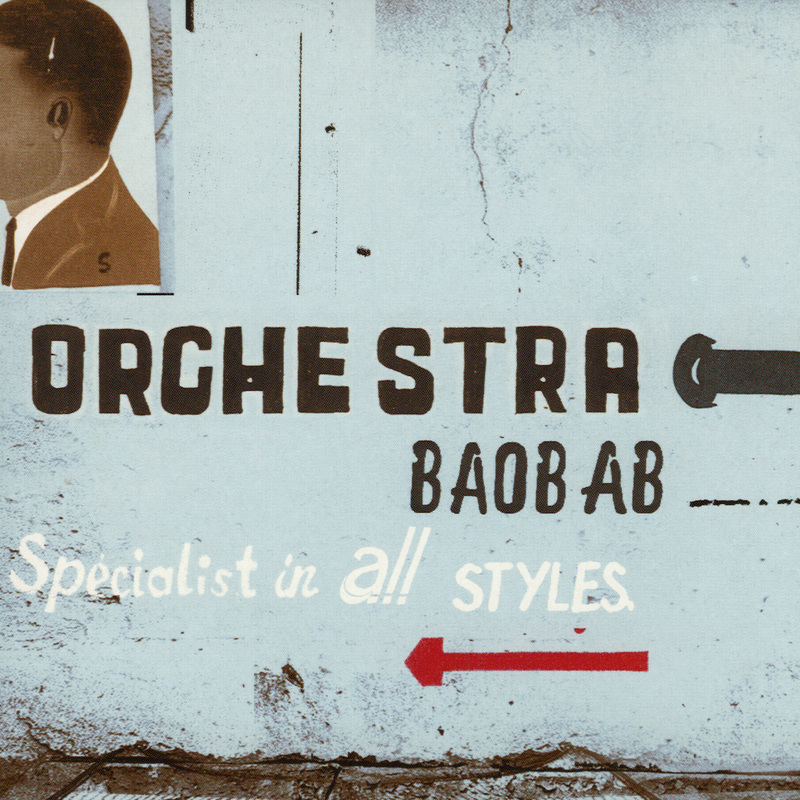 Revitalised by their spectacular 2001 comeback and a highly successful world tour, Senegal's legendary Orchestra Baobab release their first new recordings together for nearly twenty years. Produced by Youssou N'Dour with World Circuit's Nick Gold the album, 'Specialist In All Styles' is driven by an infallible groove, standout vocal performances and - in Barthelemy Attisso - one of Africa's best guitarists. Featuring guest contributions from Cuban superstar Ibrahim Ferrer and N'Dour himself, the album is infused with an infectious sense of enjoyment and a wealth of experience summarised best by its title. 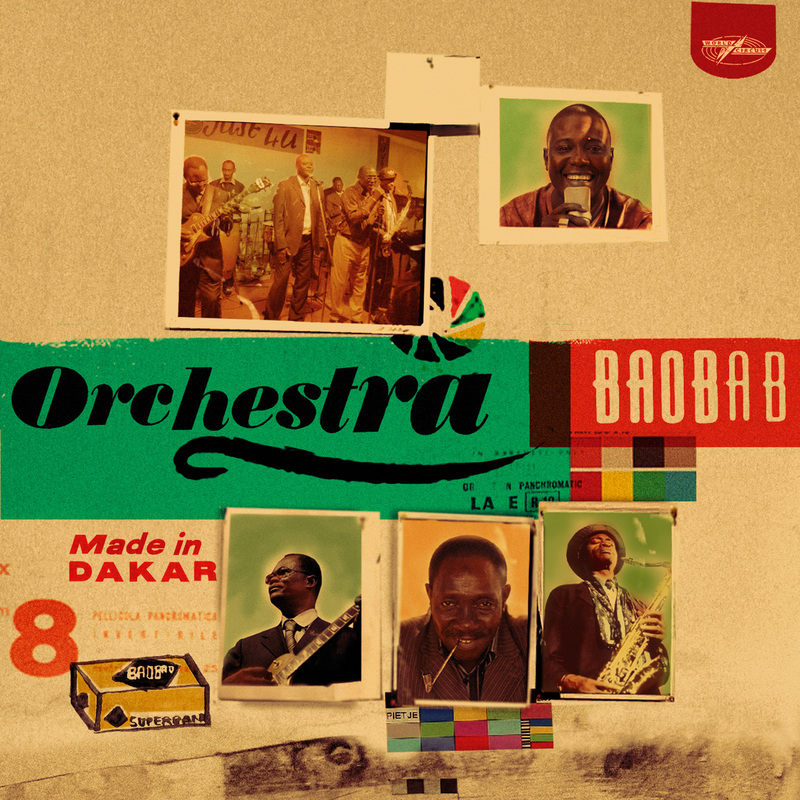 Five years on from the GRAMMY nominated 'Specialist in All Styles', Orchestra Baobab returned with 'Made in Dakar', an album that celebrates their roots in one of the world's most explosive musical cities - which updates their classic mellow sound with a new edge and a new energy for new times. Beautifully recorded in Dakar's Xippi studios, 'Made in Dakar' builds on Baobab's renewed activity on their home turf, where they undertook their first Dakar club residency in nearly 20 years with hugely successful Saturday night sessions at the Just 4 U club. Combining the gritty lo-fi feel of their early recordings with dynamic new arrangements, this is an album that could only have been Made in Dakar. By clicking 'Subscribe' you agree to receive emails about Orchestra Baobab and other World Circuit artists. 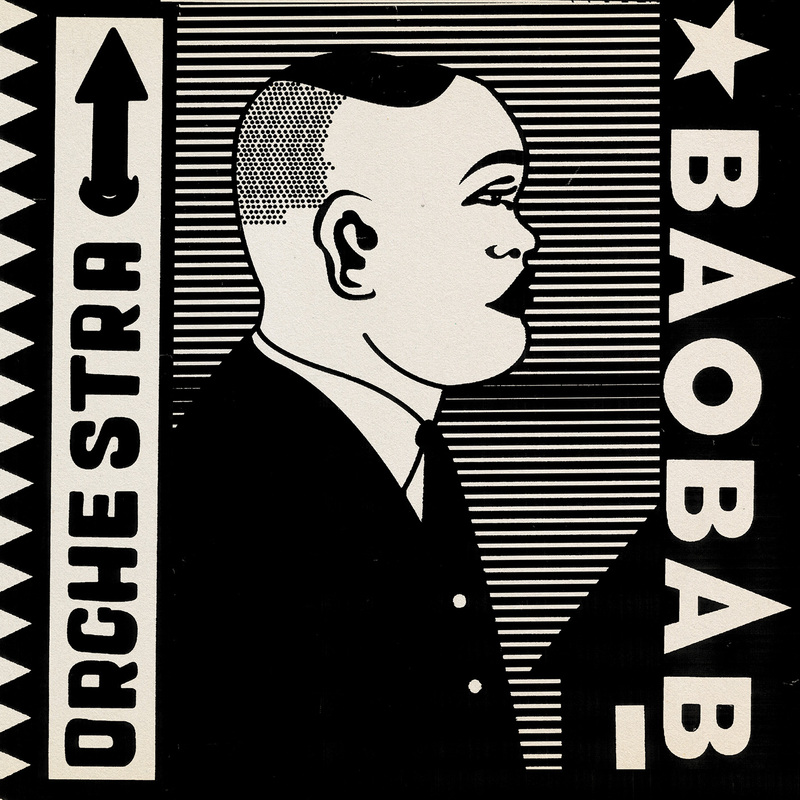 © 2019 Orchestra Baobab. Made by Truth & Co.